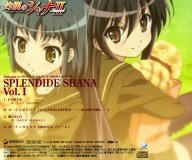 This is a drama and vocal CD for the TV anime Shakugan no Shana II (灼眼のシャナII). The tracks are as follows. 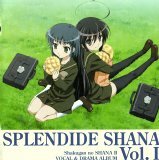 audio drama "Shana no Shakaika Kengaku"
audio drama "Nazo no Celeb Date"
The cast is as follows. * This site only contains information about seiyuu. There are no audio or video files here.